It was over ten years ago when I tried and became fascinated with wood tipped cigars, specifically the Hav-A-Tampa which are machine made cigars made in Altadis USA, by the same makers of Phillies and Backwoods. This cheaper alternative to hand rolled cigars came in different variations?original, black and gold as well as sweet and vanilla. I would occasionally purchase all flavors, but I personally loved the black and gold and the sweet and vanilla ones. Back then they were widely distributed in the United States and were popular for their reasonable prices. Apart from the price, they had built-in wooden tips made of birchwood, made them more convenient and comfortable for non-cigar smokers. They were smooth and they tasted great too, which was a great value for the price. 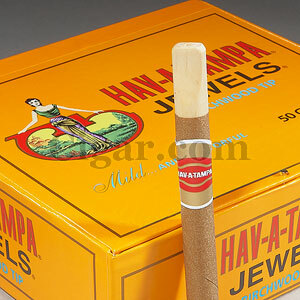 Hav-A-Tampa Jewels Sweet cigars were made from a distinct blend of Honduran and Dominican imported tobacco. It was aromatic and pleasing too because of its unique design. Eventually it became the world?s most famous wood-tipped cigar outselling other brands due to its price and great quality when it comes to flavor. It was great for any occasion and it was very convenient to take whenever I would go out and have drinks with friends. These light cigars came with a binder and filler. Unfortunately, due to new laws and the decline in economy, they had to close their factory in Settner in 2009 despite their many efforts to keep the company alive. ?The said factory had operated for more than 50 years since 1902. Back then, SEITA which was the French tobacco monopoly and Tabacalera, the former Spanish Tobacoo giant formed Altadis, a multinational company which manufactured cigarettes, tobaccos and cigars. Later on it was bought by the Imperial Tobacco company in February 2008 before it closed down. Nowadays, Black and Mild Wood Tip Wine Cigars and Swisher Wood Tips are available alternatives. There are cigars and then there are cigars. Cigar aficionados would certainly understand what I mean and they would also probably feel a rush of excitement each time they hear the word Gurkha. For those who have no clue as to what I am talking about, the Gurkha is now being considered as one of the hottest cigars in the market. The Gurkha, as popular and sought after as it is now, was not always considered so highly. It hails from India, where it was once looked down on â€“ if you can believe that. But one man changed that perception. 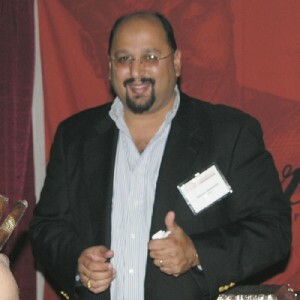 Kaizad Hansotia, an entrepreneur based in Miami, bought the brand many years ago simply because he liked what he tasted. His gamble has paid off. Gurkhas are now considered way up there in the cigar world. To give you an idea of just how highly regarded they are, one cigar goes for $750! Thus, it is not a surprise that you normally find high profile Hollywood personalities puffing on one of them babies. They are cased in â€œfrosted glass tubes in which Gurkhas are individually packaged, the gold caps on the tubes, and the unique design of each new line of Gurkha boxes, from hand-carved wood in one line, to boxes covered with leather and lined with suede for another. Anyone here who has tried a Gurkha?